I am a person with small dreams. I am content working for someone else (for the past 11 years, a non-profit that works with homeless women and victims of domestic violence, WINGS). Although I support big causes, I do it in little ways. I make a donation, I volunteer, I host a mini-fundraiser. Maybe that's why I am so awed by other people's big accomplishments. I cannot even begin to fathom how you would go from an idea to a huge organization. That is exactly what Ellie Laks did with The Gentle Barn, an animal rescue sanctuary that couples caring for animals with outreach programs for at-risk youth. How did she get to the point that she has saved so many animals and reached the hearts of hundreds of children? She spells out her journey in her memoir, My Gentle Barn. When faced with adversity, whether personal, financial or even catastrophic, Ellie continued on her journey one step at a time to build a place of peace and caring. I am glad that she did. 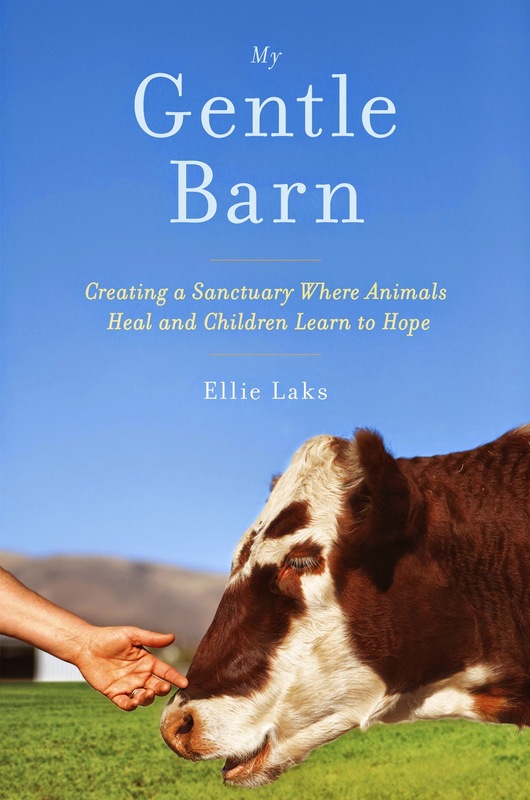 If you want to learn more about Ellie's journey to create The Gentle Barn, her book will show you. If you want a story about how one person's dream can be transformed into a reality that affects the lives of many, her book will do that, too. Required FTC discosure: I received a copy of My Gentle Barn to review. I received no other compensation, and any opinions are my own. You're welcome, Sophia. Let us know if you have any good books to recommend for summer reading! Kim, your first paragraph soooo resonated with me! This book sounds interesting. What could be more important than the welfare of children and animals?